Green Spot is a vegetarian restaurant in Barcelona that everyone can enjoy, with gorgeous interior design and fun dishes. Barcelona isn’t the best city for vegetarians. This is a city built by, and for, meat eaters. There are vegetarian restaurants of a tolerable standard but nothing that really makes the heart soar. Most are only enjoyable when compared with their competitors. Perhaps too many vegetarians are too-easily pleased. That would explain the near-ubiquity of ethically sound but epicureally sad health-food fare. Not that this problem is limited to Barcelona: I was a vegetarian for four years in the UK and ate enough vaguely ethnic high-fibre stodge to last a lifetime. Green Spot aims to raise the bar. Owned by En Compañía de Lobos (the restaurant group of Tomás Tarruella, co-founder of Grupo Tragaluz), it’s a vegetarian restaurant that doesn’t sell itself as one. Its stated aim is to be simply a good restaurant that anyone can enjoy. There’s no doubt that Green Spot succeeds in being a very pleasant place in which to eat. The sea-facing side of the restaurant is unfortunately obscured behind a dilapidated brick-and-concrete car park, but the main door is in the now-pedestrianised Porxos de Xifré between Passeig Colom and Port Vell. The kitchen is visible from the street, decorated in the same oak panelling that lines the restaurant. The interior, designed by Brazilian architect Isay Wenfield, is light and elegant, with a spot of green (of course) provided by an inner garden. The menu is split into appetizers, salads, soups, vegetable dishes, specials, pasta/rice, pizzas and desserts. Vegan, gluten-free and raw dishes are marked and the menu changes regularly to highlight seasonal ingredients. There are craft beers and biodynamic wines, as you’d imagine. Expect to spend €25-30 per person for a full meal. And full you will be when you leave if you order carelessly. The absence of animal protein is (over) compensated for with hefty serving sizes. Appetizers are best shared. Fresh pea dip with dukkah (€7.50). Beetroot, apple, grapefruit, avocado and spicy radish tartare (€9.25). Black pizza of activated charcoal, with squash, caramelized onions, goats cheese and pistachios, cooked in a wood-fired oven (€15). Delicious but heavy. Sweet potato tagliatelle with macadamia nut sauce and black truffle (€14.25). Persimmon and baked pear with vegan vanilla ice “cream” – an unfortunate dairy-free disappointment of lumpy ice that bears little resemblance to the real thing. Green Spot adds a dash of colour to Barcelona’s vegetarian dining scene. It achieves its ambition of being good enough to attract customers who aren’t vegetarians or vegans – but some caveats still apply. There’s too much throw-a-dart-at-an-atlas geographic diversity for my taste. There are people who will skip with delight at the thought of “Mediterranean cooking inspired in world food: Japanese, Indian, Mexican, Arab, South East Asian and Latin,” as Green Spot describes itself. I’m not one of them. I like my food to have a sense of identity; not limited to a particular cuisine, but at least rooted in one. That said, Green Spot does global fusion better than most. The dishes I ate were well-though-out and enjoyable, aside from a few minor stumbles. Overall, Green Spot is fun, fresh and flavoursome. I’d quite happily eat there again. Would I choose to go there myself if I weren’t in the company of a vegetarian? No. But I know non-vegetarians who’d love it. If this is your kind of food, Green Spot is definitely worth a visit. Green Spot: Carrer de la Reina Cristina 12, 08003 (Barceloneta), Barcelona; Tel. (+34) 938025565; Mon-Fri 12.30-midnight; Sat-Sun 1pm-midnight; Metro Barceloneta (L4). Céleri recently won a Michelin star. Although it focuses on vegetarian and vegan cuisine, meat dishes are also served there. Interested? Read the review. 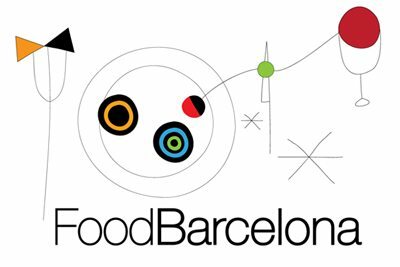 Find more restaurants in Barceloneta in our neighbourhood guide or food map.